Watching from ringside was WBA and WBA heavyweight champion Tyson Fury, as well as Wilder’s mandatory challenger Alexander Povetkin. Wilder moves his record to 36-0 with 35 knockouts while Szpilka drops to 20-2 with 15 knockouts. In what some describe as somewhat of an uneventful affair, Wilder changed the mood of the action in the ninth with a chilling right hand that hit his foe’s chin and left Szpilka out cold. The brave challenger was later taken to Lutheran Hospital on a stretcher as a precautionary measure. 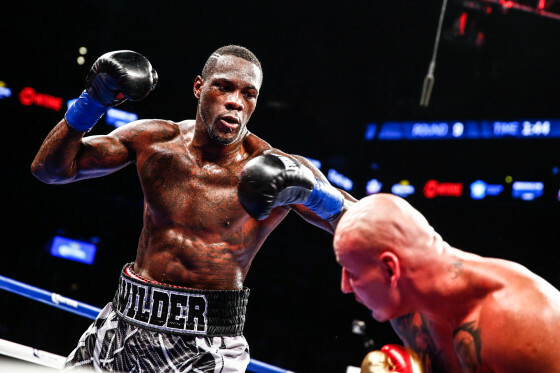 Check below for a highlight of Wilder’s knockout.